There is a gap between life as we want it to be and life as we experience it. This gap is pretty important. For what we do with that gap makes the difference in our ability to find fulfillment, happiness and meaning when life events and populace turn out to be quite the opposite of the one we had planned. 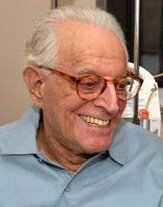 Albert Ellis, best known as the creator of Rational Emotive Behavior Therapy, was a giant in the field of psychology. And yet nothing I ever read by him came close to having the impact on me as actually seeing and hearing him “in action” in public events demonstrating his ideas. Basing his understanding of human distress in part on philosophers such as Seneca, he came to believe that it was not events in themselves that caused us to be unhappy—instead it was our reaction to life events that did so. This was especially so, he felt, when we made demands upon the world, insisting that it must fit our wishes about it and that people in it must be just as we wish them to be. (He called this, if you’ll pardon the phrase, “musterbation”). He also said it was a sure way to make oneself miserable. In his public demonstrations of his ideas, he spoke to clients who expressed emotional demands that life must be different and the people in their lives must be different. His response has stayed with me for many years. His key sentence, though, has brought me comfort and a restored sense of balance many times since I first hear him phrase it. Filling in that blank space with any life event or painful memory acknowledges that yes, it hurt, or is unpleasant, or unfair. But the next part of the sentence shows that we can live in a world that doesn’t always (or mostly) conform to our wishes and not only survive it—we can actually thrive in it! Learning to have a good life, anyway, in the company of people who aren’t perfect, in an environment (work, family, or otherwise) that isn’t perfect helps us overcome despair and hopelessness. It would be easy to have a good life in a perfect world. Since we don’t live in one, we must seek to develop ways of enjoying existence in an imperfect one that is still meaningful and pleasurable. In other words, we need to find ways not to overreact to the gap between the way it’s supposed to be (in our head) and the way it is (in our world). As Dr Ellis might say, we likely won’t have a perfect life in an imperfect world, but we can work toward still having a pretty damned good one…anyway.